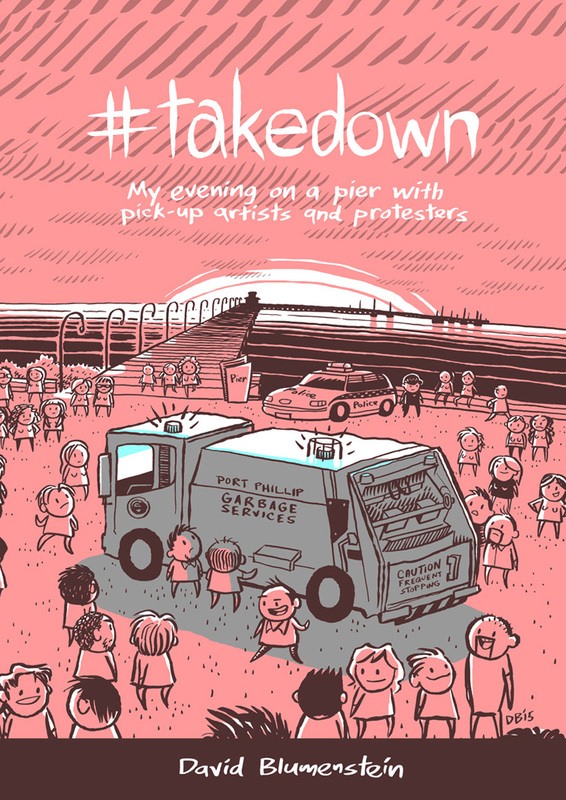 For Free Comic Book Day this year, I thought I’d put my 2015 book #takedown up to read for free on zco.mx. 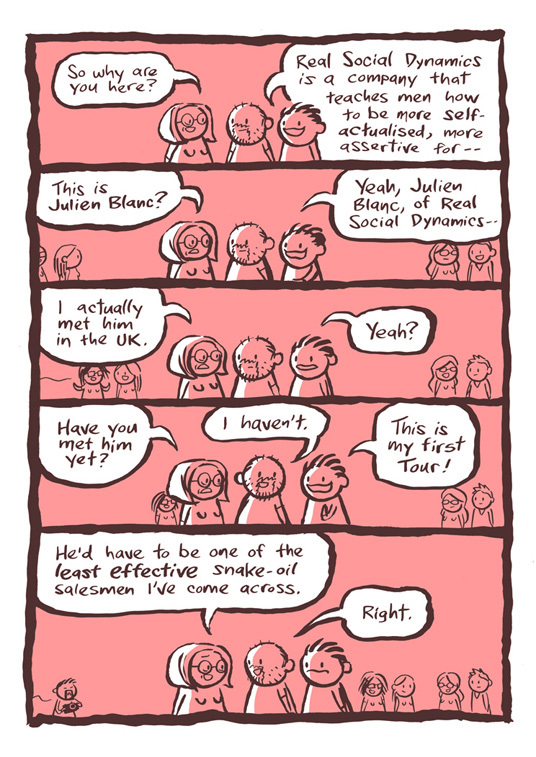 I went along to see a “professional pickup artist”, Julien Blanc, speak. While we waited, I talked to the men wanting to see him and the protesters who wanted him shut down. He eventually fled the country. You can go read #takedown here. You can also check out reviews at The Saturday Paper and Aus Comics Journal, and a prelude to the book I did for Junkee.